San Jose Police Department on Monday identified the husband and wife found dead in the city's Evergreen neighborhood over the weekend as Golam and Shamima Rabbi. Police are yet to identify any suspects in the investigation of the two deaths, which are being ruled as homicides. The deaths of the couple on Lucas Court, not far from the large Sikh temple, occurred on Sunday about 2 p.m., although the Santa Clara County coroner arrived about 11 p.m. The South Bay Islamic Association of San Jose posted a condolence message on their Facebook page Sunday night, describing the couple as long-term residents of the Evergreen community and volunteers at the Evergreen Islamic Center and the South Bay Islamic Association. "The circumstances of their passing are still under investigation and therefore details of the Janaza/Burial are yet to be announced," the message said. "We ask Allah to forgive the deceased, shower His mercy on them, and make their graves a garden from paradise. In addition, we extend our deepest condolences to the family and ask Allah to grant them strength and patience during this most difficult time." San Jose Police said the "motive and circumstances" are unknown at this time. Many relatives, some dressed in traditional salwar kameezes and head scarves, came to the home on Sunday afternoon to grieve and try to find out more information. 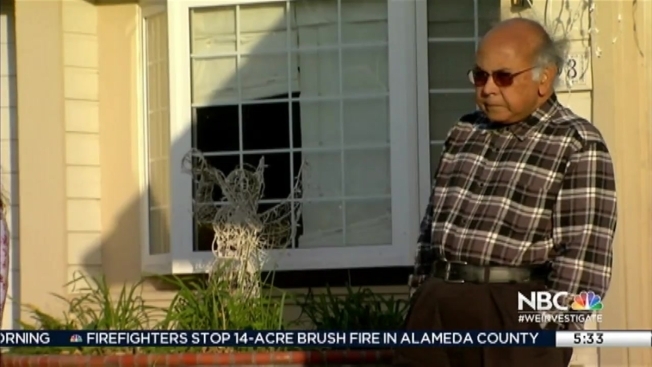 One of the family members told NBC Bay Area that his nephew arrived at the home to find his sister dead near the laundry room. The nephew also told him that there was another man injured in the home. Police haven’t released many details, but the deaths left neighbors reeling. "I was shocked this is a quiet neighborhood,” Ben Mendoza said. “We've been here 16 and 17 years so to here this happened is really shocking."